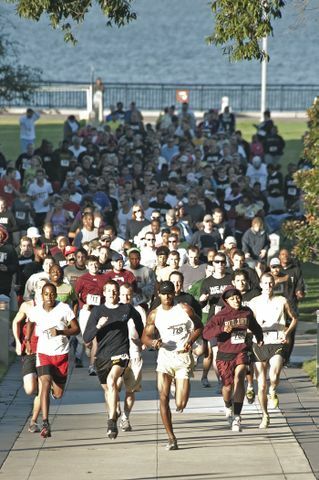 NEWPORT NEWS, Va., Oct. 6, 2010 -- More than 400 employees, their family members and friends participated in Northrop Grumman Corporation's (NYSE:NOC) 5K Fun Run/Walk. The event was held at the company's Shipbuilding sector in Newport News, Va. on Oct.2. Jim Hughes, Newport News' vice president of aircraft carrier overhaul and carrier fleet support, welcomed shipbuilders and their families to the 5K. "This event is one of the many that we're doing this year as a part of our 2010 focus on our people," said Hughes. "What better things to focus on with our people than health, safety, wellness and quality of life. This event is a great example of that focus touching all of these areas."